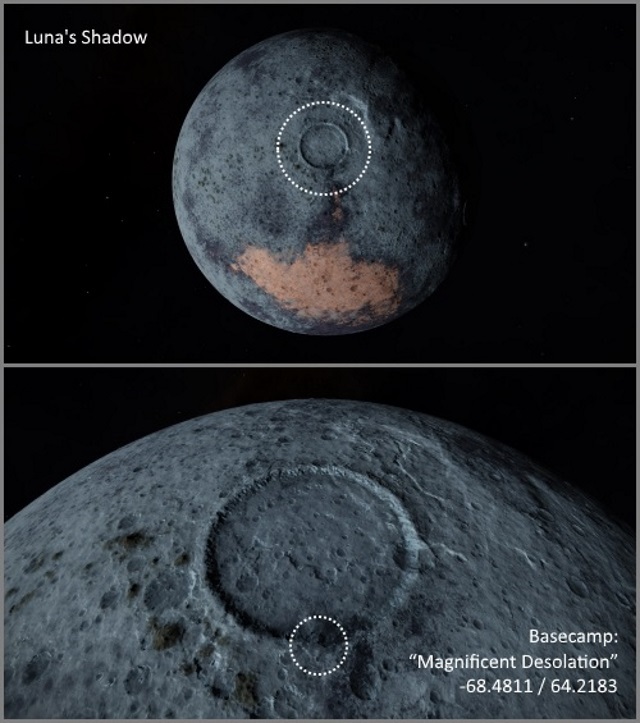 This system was visited for the first time on EDSM by Setaou. 1483 ships passed through Smootoae QY-S d3-202 space, including 1005 ships in the last 7 days. 43 ships passed through Smootoae QY-S d3-202 space in the last 24 hours. 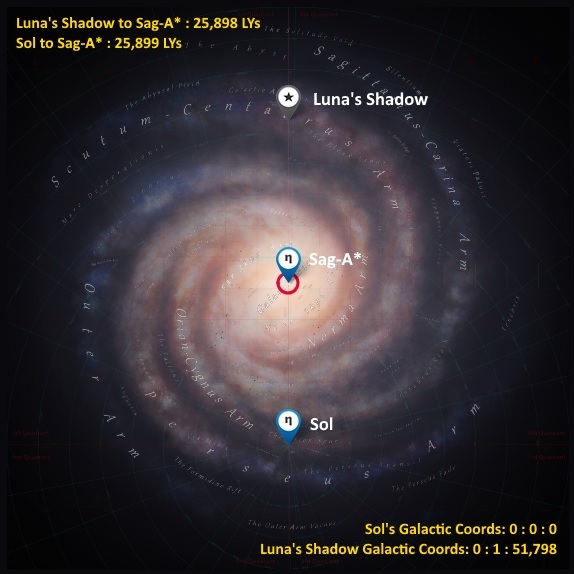 Situated on the galactic prime meridian, and 1 LY above the galactic plane z-line, some 25,898 LYs from Sagittarius A* on the far side of the galaxy, this system is the physically located antithesis of Sol. Remarkably the star system also has 8 major planets, the third one being a Water World orbited by a moon that is strikingly similar in both appearance, size, and composition to that of the Earth's moon, Luna, on the opposite side of the galaxy from this location. 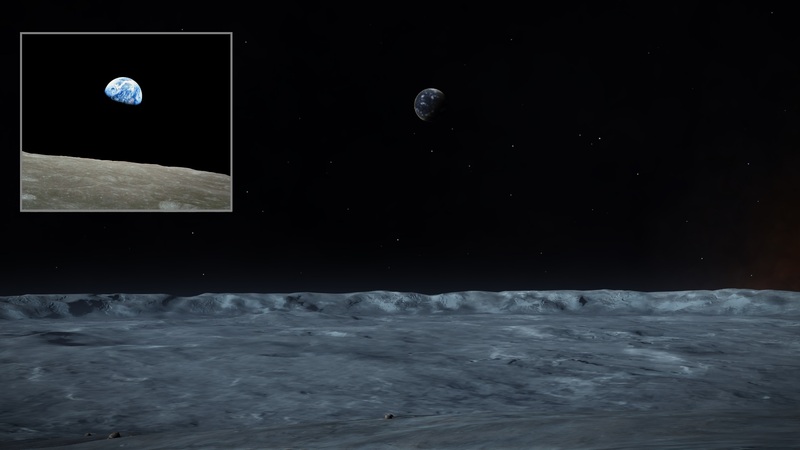 This moon, nicknamed Luna's Shadow, is an ideal location for travellers to land at and collect Jumponium resources before heading out to the Abyss.